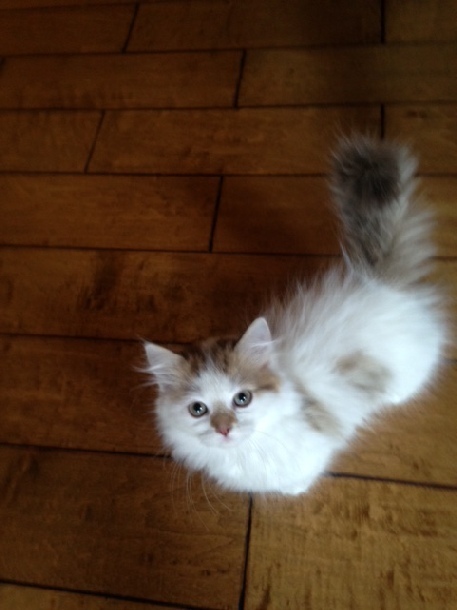 We love our cats at Tiny Lions Napoleons. 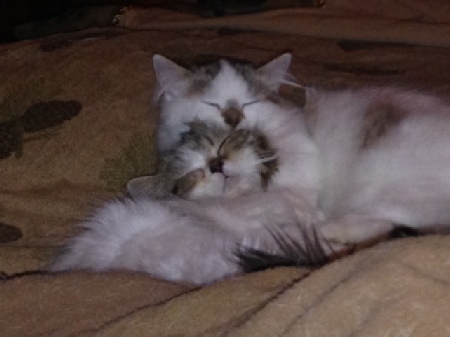 They are an integral part of our family, just like all the pets we have. 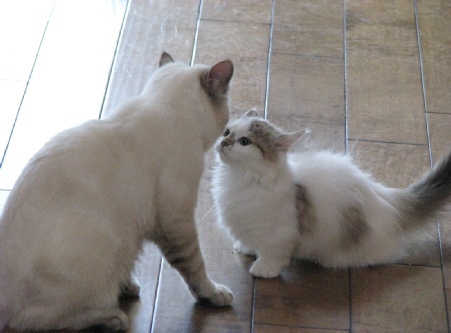 We believe it is important to give love and affection to them, as well as to include them in our day-to-day life. 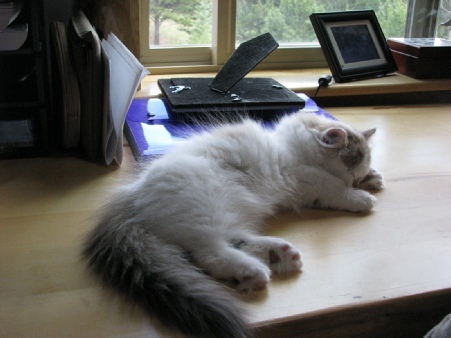 We hope these photos will help you see that cats can be just as active in your family as dogs. 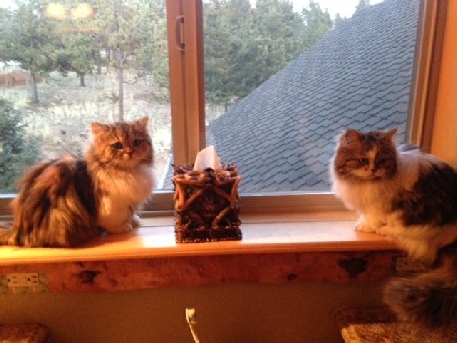 Josie (left) and Bing (right) love to sit on window sills. 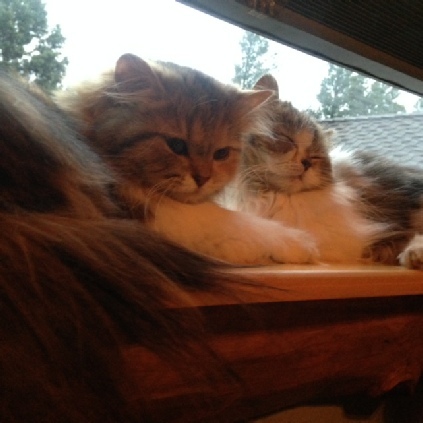 In this case, they need help to get up on the bathroom sill, but not in the window above our bed (right). 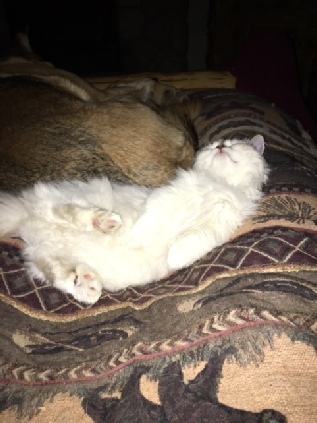 Claude is our little ham. He loves attention. He’s now a big boy. Claude after his first bath ever. He did great! 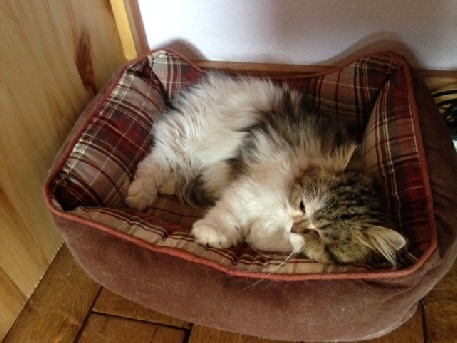 Bing has taken over one of the dogs’ bed. 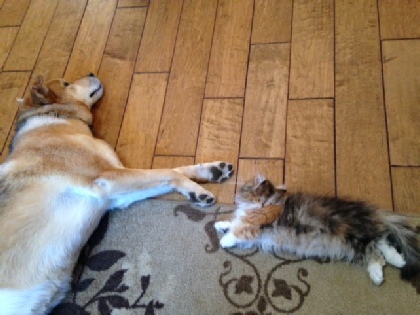 Josie chillin’ with Kodiak, my husky/shepherd. 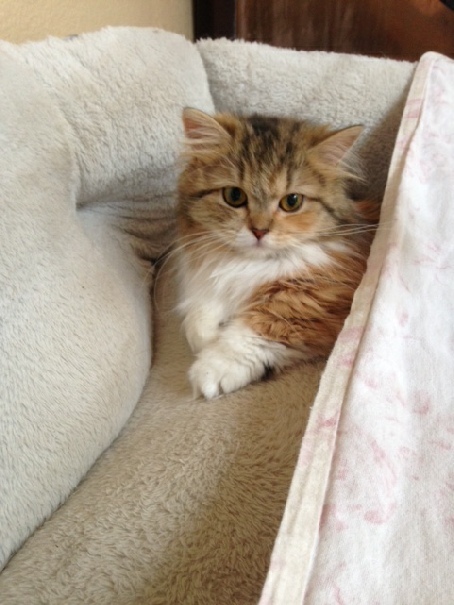 Josie is shameless in taking over another dog’s bed. 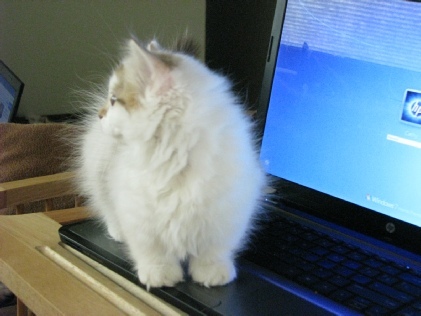 What is it with cats and keyboards? 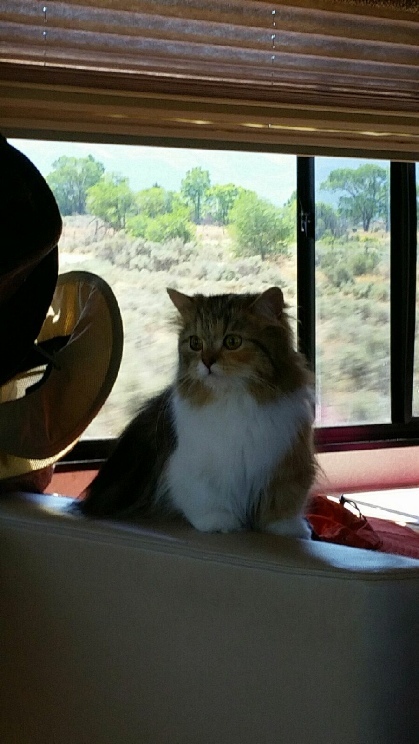 All our cats are fans of RVing. Josie and Bing had their first road trip the summer of ‘16, touring four states while looking for Forest Fenn’s treasure. 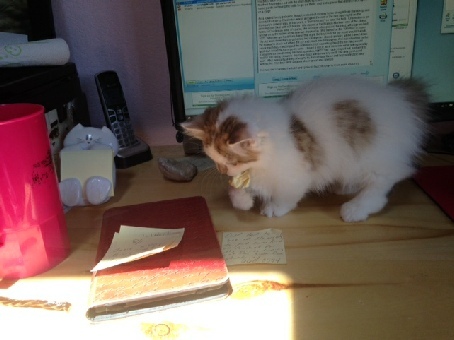 Claude and his favorite toy, a crumpled up Post-It Note. Who knew that buying cat toys would cost so much. The cats constantly find themselves in places where you have to watch what you do so something doesn’t get rolled over or stepped on. 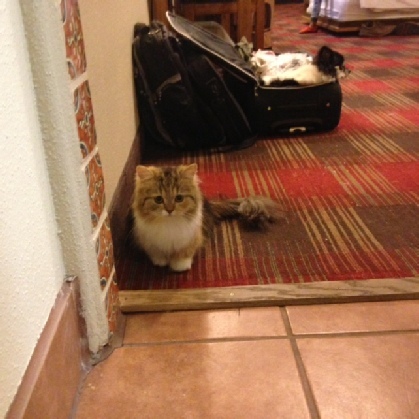 Josie in a hotel in Taos, NM on our road trip. One of our dogs has claimed the suitcase as her bed. 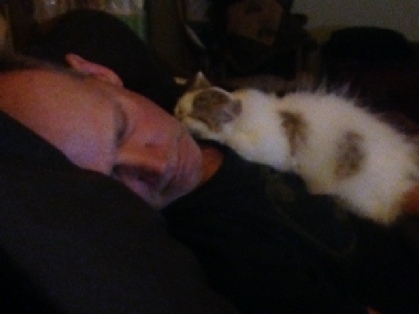 No matter what I say to the contrary, we all know who Claude loves the most. 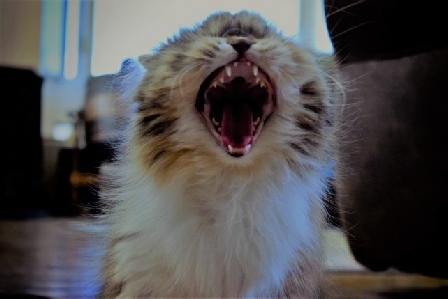 This is Claude when he’s in his “off” mode. I wonder if it means anything that he’s knocked over the picture of my dog. Riddler, our stud on loan, with Claude, our future stud. 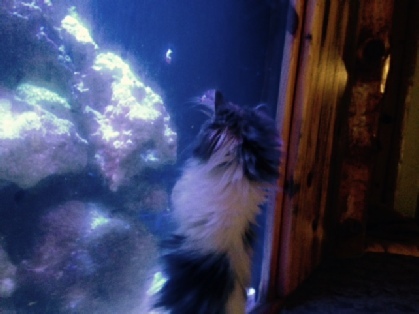 Bing at the fish tank, above. 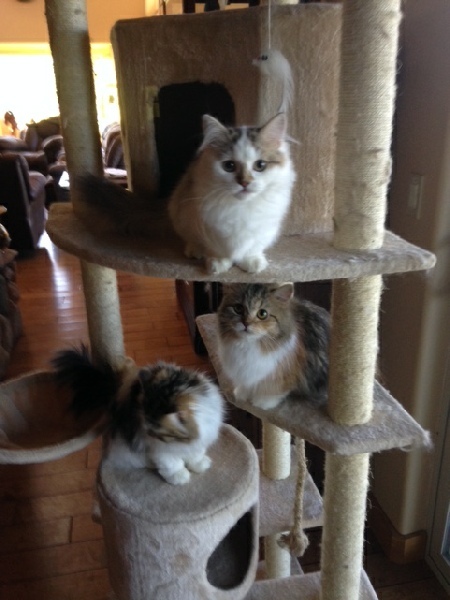 Bing, Claude, and Josie on the cat condo, left. 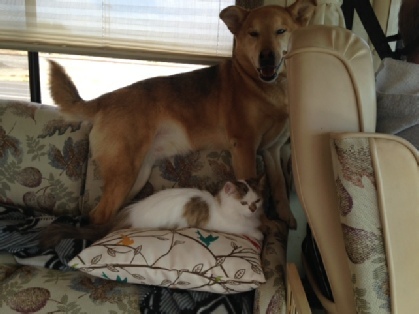 Claude and Kodiak in the RV, below. 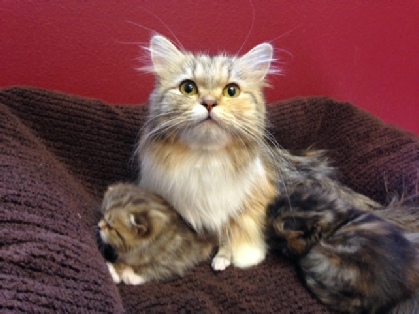 Josie with her two kittens, below. She is definitely a proud momma. 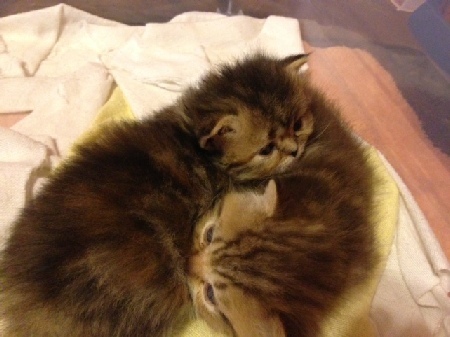 Gidget and Kubi, our first kittens, below. 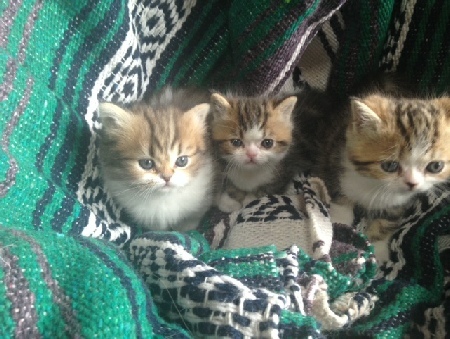 Both were nonstandards, one a female and one a male, one a long hair and the other a short hair. 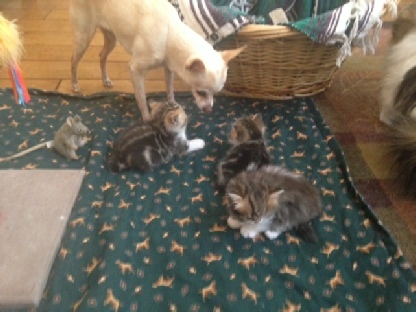 Josie had a tendency of moving her kittens onto the bed. 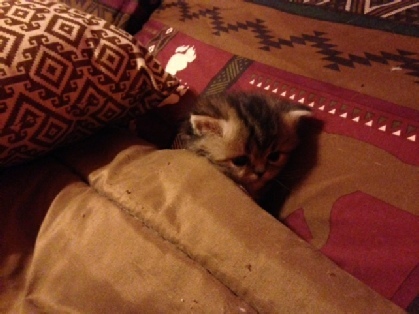 Below, she tucked Gidget into bed. This picture was not staged. 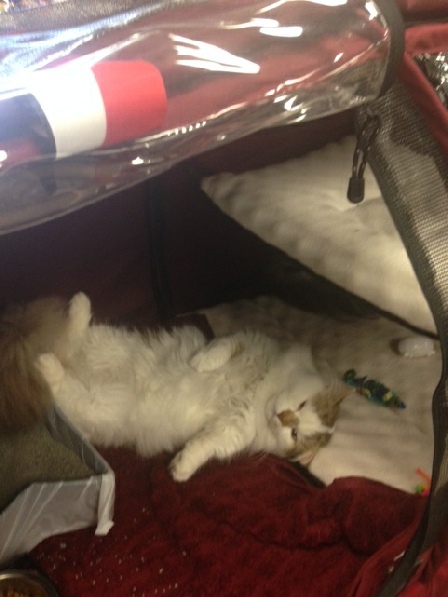 Claude hopped up on turkey baby food at the Nashville cat show. 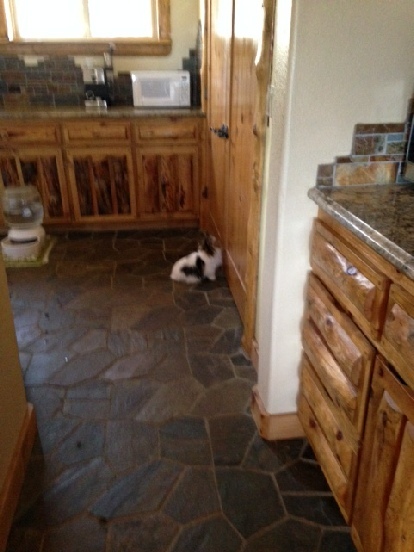 Bing waiting at the pantry door, where the treats are kept. 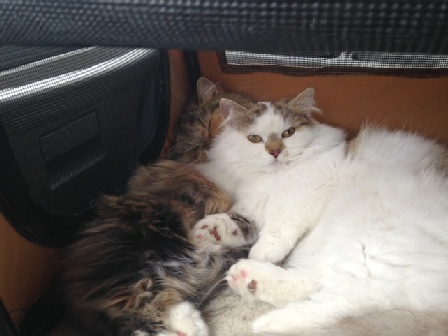 Josie and Claude traveling home from a show. 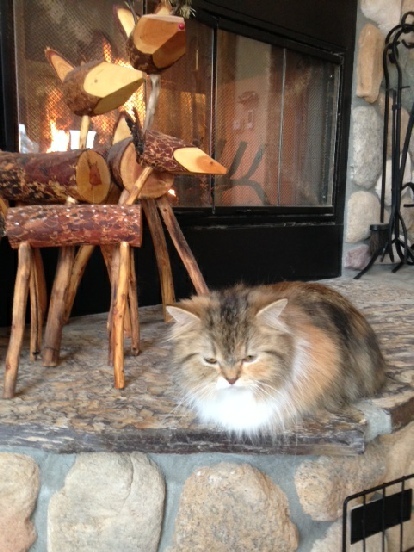 Josie relaxing on the hearth. 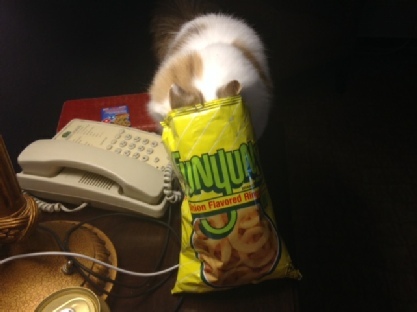 Claude snacks at a hotel during a show weekend. Nope, he was stopped in time. 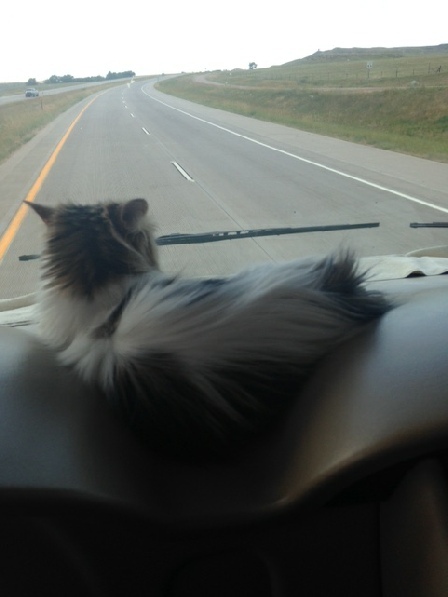 Bing enjoys the best seat in the house during her RV trip to Cheyenne, WY for a cat show. Above, Ceviche (above) on the family Wyoming road trip in the summer of 2017. He went home with Ryan, my oldest son, as a wedding gift. 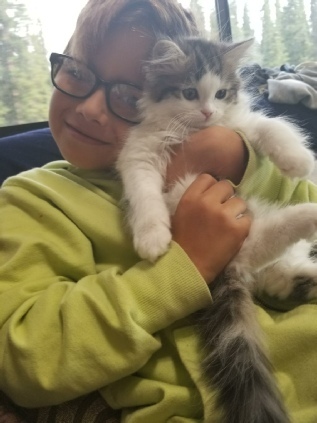 To the left, Leo on the same trip with my daughter’s son. 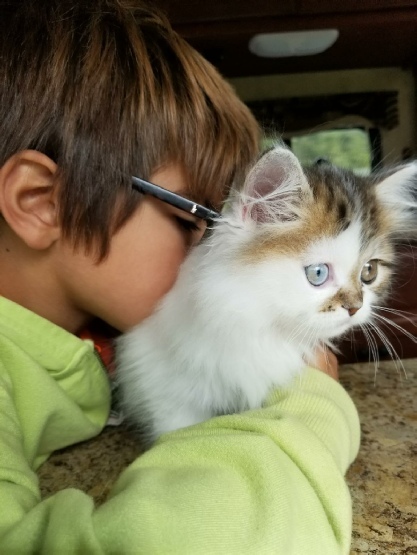 Both kittens loved traveling in the RV and staying in hotels at night. 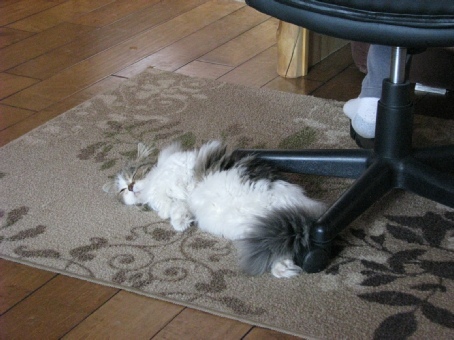 They are proof that cats don’t necessarily want to stay home when their family goes on vacation. 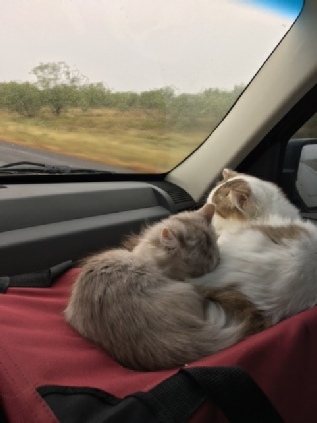 Ellie’s first road trip ever (right), when she was only three months old. 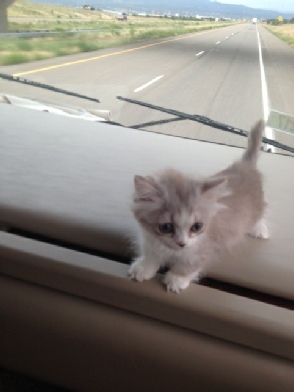 She mastered the dash of the RV easily. (Left) Ellie and Claude coming home from Ellie’s first show ever, in Temple, TX. 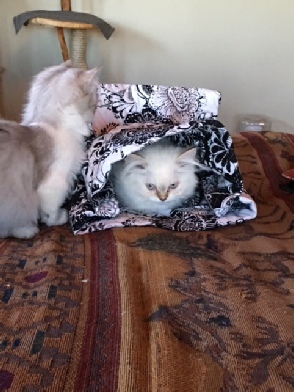 (Right) Ellie and Katy playing in the kitten pouch I made for them.